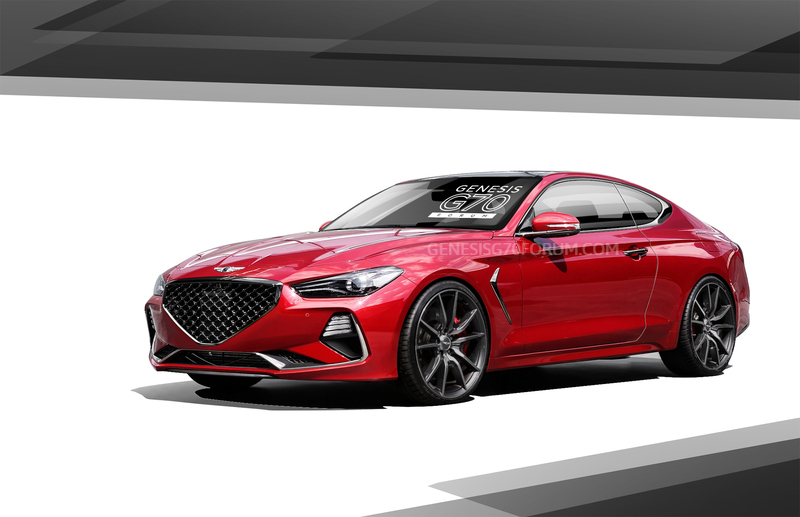 Genesis has kept quiet about the possibility of a coupe joining its lineup, but with the success of the new G70 sports sedan, the brand’s hiatus from the two-door market could be at an end. Genesis built the G70 to take the battle to its German and Japanese rivals, and they’ve surprised everyone with a car that drives like a BMW used to – likely because Genesis employed BMW’s former M performance line boss Albert Biermann to make sure of it. In fact, it’s been so good it won the North American Car of the Year award! If the G70 Coupe did make it into production, as our artist rendering suggests, it would be a stunner, competing with the C-Class Coupe, 4 Series Coupe and Audi A5 – amongst a host of others. Seen here in a stunning crystal red, it makes use of the brand’s newest grille design, as seen on the updated G90 luxury sedan. ComicOzzie and solman98 like this. But, will it have a starting price <$30,000 like the Hyundai Genesis coupe? Do you know any satisfying profanity?! 2009 Accent Hatch I find it works well enough to get me from one planet to another. And then not be able to give them away, a few months later .